How Many Iconic 90s Sound Effects Do You Remember? We all know how nostalgic the 90s can be, in ways that other decades simply can’t compare. So if you’re feeling exhausted, or you just need a jolt of energy to to get you through the day, then why not take a stroll down memory lane 7 Websites For Sharing Your Nostalgic Memories Of Days Gone By 7 Websites For Sharing Your Nostalgic Memories Of Days Gone By Nostalgia may be bittersweet, but the mere thought of the past ties us all together socially. We share our best and worst memories. This is where the Web comes in as the great watering hole. Read More ? I guarantee you’ll leave with a smile on your face. For example, which of these instant messengers did you prefer? I was always partial to AIM, but I know many who are die-hard ICQ fans and MSN fans! 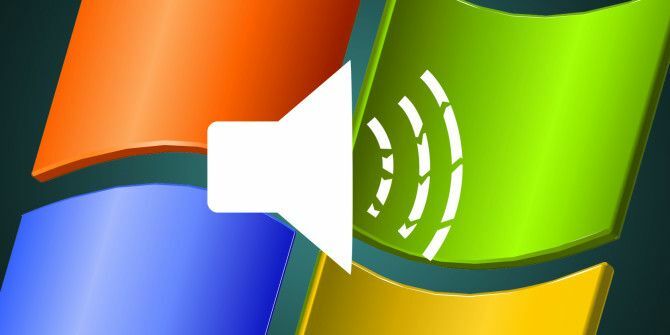 And we can’t forget the amazing sounds of Windows The Forgotten Retro Sounds of the Early Windows Era The Forgotten Retro Sounds of the Early Windows Era This year marks the release of the final Windows version. 20 years earlier, Windows 95 was born. Do you remember how it sounded? Join us on a nostalgic audio trip down memory lane. Read More . When you hear the same sound effects day in and day out, it’s hard not to think back on them with a fond heart. Which set of sounds were your favorite? Hardware sounds have left a mark, too. Now that everything is digital, we don’t get to hear many mechanical noises anymore. Do you miss the days of VHS, payphones, and floppies? Lastly, I grew up on video game consoles, and I know I’m not the only one. Countless hours were spent in front of my TV playing Nintendo 64 and PlayStation, with the occasional round of GameBoy thrown in. I also watched a lot of Nickelodeon! I’m sure there are more aspects of the 90s that weren’t mentioned here, such as these playable 90s-era educational games 9 Old Educational Games You Can Play Right Now for Free 9 Old Educational Games You Can Play Right Now for Free Miss those educational video games from the 80s and 90s? You can play them again right now for free! Read More like Oregon Trail and Crosscountry Canada. Interestingly enough, did you know that you can actually play DOS games in your browser Emulate Classic DOS Games Right In Your Browser For Free Emulate Classic DOS Games Right In Your Browser For Free Play retro DOS games in a couple of clicks, thanks to The Internet Archive. Read More ? Tell us about your favorite 90s memories in the comments! Which sound effects did we miss? It’s your turn to share down below. Explore more about: Nostalgia, Retro Gaming. AOL LMAO!! Oh man, that brought me RIGHT back!! If you want a laugh, check out dialup remix on youtube. Some of them are actually pretty good! What? The N64 never had a startup screen. The games just ran right away. What's actually being shown here is the 64 Disk Drive/64DD startup screen, and it was only released in Japan.